SnowYourWay has a complete no smoking policy in all of its chalets and apartments. We are very pleased to offer our guests a choice of two beautiful chalets situated in the picturesque French village of Valfréjus. Just a few moments walk from the lifts and piste, each chalet has outstanding mountain views of the spectacular Vanoise National Park, impressive at anytime of the day but particularly at sunset. Views of the mountains opposite and of the village itself can be enjoyed from large panoramic windows or, if you’re up to braving the cold, the terrace or balcony. Each day we provide a breakfast of Tea, Coffee, Orange Juice, a selection of cereals, yoghurts and fruit, croissants and bread with jam there’s also a selection of hot items such as sausages, tomatoes, mushrooms or eggs. Afternoon tea with a selection of cakes is available daily in the chalet ready for your return from the slopes and a 3-course dinner is served each evening at 8pm with free unlimited local wine except on Wednesday when the chalet staff has an evening off and you can sample one of the local restaurants. If you wish, children can be served dinner at the earlier time of 6pm. Sleeping up to 14 people, means there’s plenty of choice to suit the size of your family or group and your budget. Regardless of the chalet you choose for your holiday you can be assured of tasty meals, comfortable beds made for your arrival and a daily chalet service to keep your home for the week clean and tidy. Our chalet hosts will do everything they can to establish a relaxed and friendly atmosphere from the day you arrive. La Méléziére is a typical Savoyarde chalet constructed in stone and wood and in our opinion, is the loveliest chalet in the village. The huge panoramic windows afford breathtaking views of the mountains opposite and the Glacier de Chavieres. 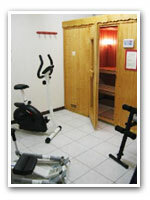 With hand sculpted woodwork, vaulted ceilings, sauna and fitness room this truly is an exceptional place to stay. 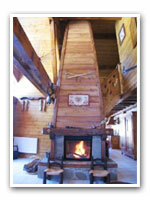 La Buissonniére is a brand new chalet built in 2008 in a traditional Savoyarde style with the added luxury of a sauna. Situated in an elevated position on the edge of a forest, this cosy chalet is only a few moments walk from the lifts and piste. It’s large terrace and balcony allows you to fully appreciate the views of the mountains opposite and the heart of the village below you.